The two bevel Magnifying Ruler is calibrated in inches and centimeters with a 2X magnifier. 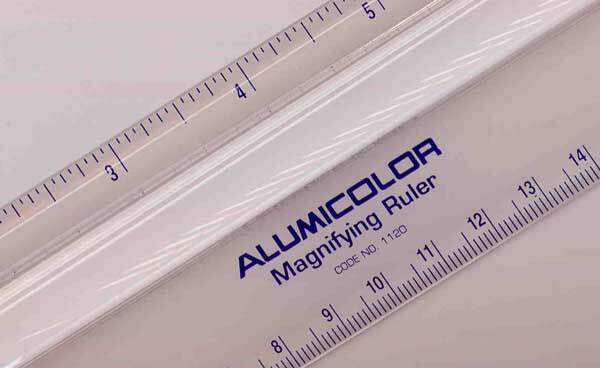 The magnifier has a raised curve for viewing at a comfortable angle instead of having to look directly straight down. 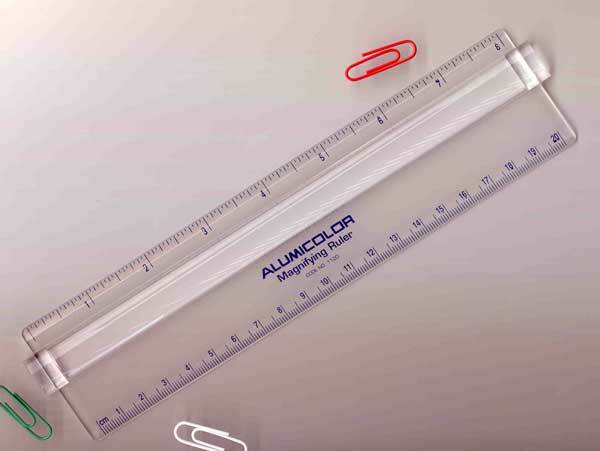 Made in the USA of a rigid, high quality plastic, it provides excellent viewing of small type.